 The Oregon Center for Nursing (OCN), in conjunction with the Oregon Action Coalition (OAC), released the “Oregon Nurses on Boards Toolkit,” a website dedicated to help nurses throughout Oregon find board positions and be successful as board leaders. The Toolkit is part of the larger Oregon Nurses on Boards Initiative, which identifies nurses who currently serve on boards, nurses who wish to serve on boards, and helps develop nurses as effective and competent board leaders. The Initiative is designed to address the under-representation of nurses as part of decision-making boards. For example, according to a 2014 survey by the American Hospital Association, one in five physicians served on boards, but only one in 20 nurses served. The Oregon Nurses on Boards Toolkit can be seen at www.oregonnursesonboards.org. The Oregon Nurses on Boards Initiative is funded with a grant from the Robert Wood Johnson Foundation with matching funds provided by Legacy Health System, Oregon Center for Nursing, OHSU, OHSU School of Nursing, and Dr. Dana Bjarnason, RN, NE-BC, PhD. OCN is a nonprofit organization created by nursing leaders in 2002. OCN facilitates research and collaboration for Oregon’s nursing workforce to support informed, well-prepared, diverse and exceptional nursing professionals. OCN fulfills its mission through nurse workforce research, building partnerships, and advocating for nursing and healthcare. For more information about OCN, please visit www.oregoncenterfornursing.org.